I usually take the kid/s on a trip to see family during that time, so that we get a bit of a vacation, even if it has to be without my husband. Then we all get back home for a few days before we are expected at my husband’s August ministerial meetings for 4-5 days. When we get home from that, the summer is pretty much over and my husband is back to the school year schedule, teaching a few classes, leading prayer groups and Bible studies at our local church schools, and all the rest of the responsibilities that go along with being a youth pastor. This year, our summer has been further complicated by the (much needed) bathroom renovation we’ve taken on. It hasn’t gone according to plan, and our home has remained a construction zone for much longer than we would like. 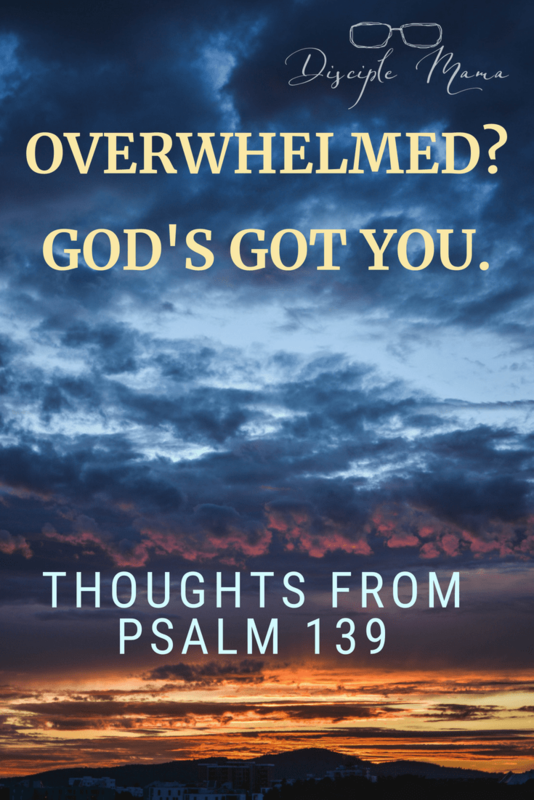 Lately, it’s easy for me to find myself feeling overwhelmed. It’s the constant dust and unsettled feeling of renovation. It’s having our family separated for longer than we like. It’s the constant press of things to do: work, chores, family time vs. keeping the lawn mowed and the flower bed weeded. It’s having to pack up for the next thing before we’ve unpacked from the last. I’m sorry to say it, but I went to sleep last night more stressed about all the things I’ve left undone than thankful for what I’ve been given. This morning, though, I woke up with a song stuck in my head. It’s really a beautiful song; I’ve loved it since I sang it in my high school choir. It’s called Wings of the Dawn, and the chorus was what was looping around in my brain when I reluctantly entered consciousness way too early this morning. 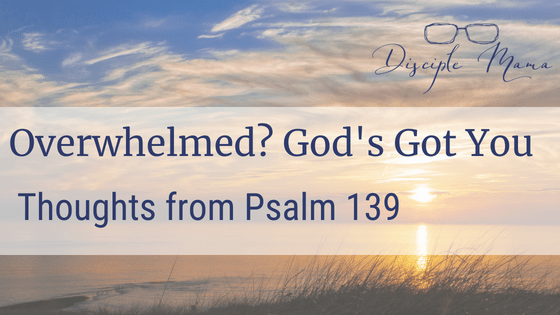 You may recognize the words; they’re from Psalm 139:9-10. In spite of the fact that I have risen well before the dawn this morning, I’m feeling a lot better as I tap these words out on my phone in the dark of my room. God is with me. 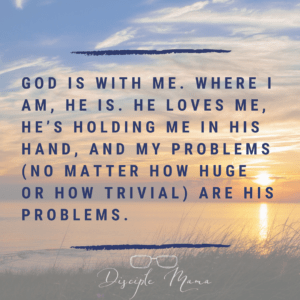 Where I am, He is. 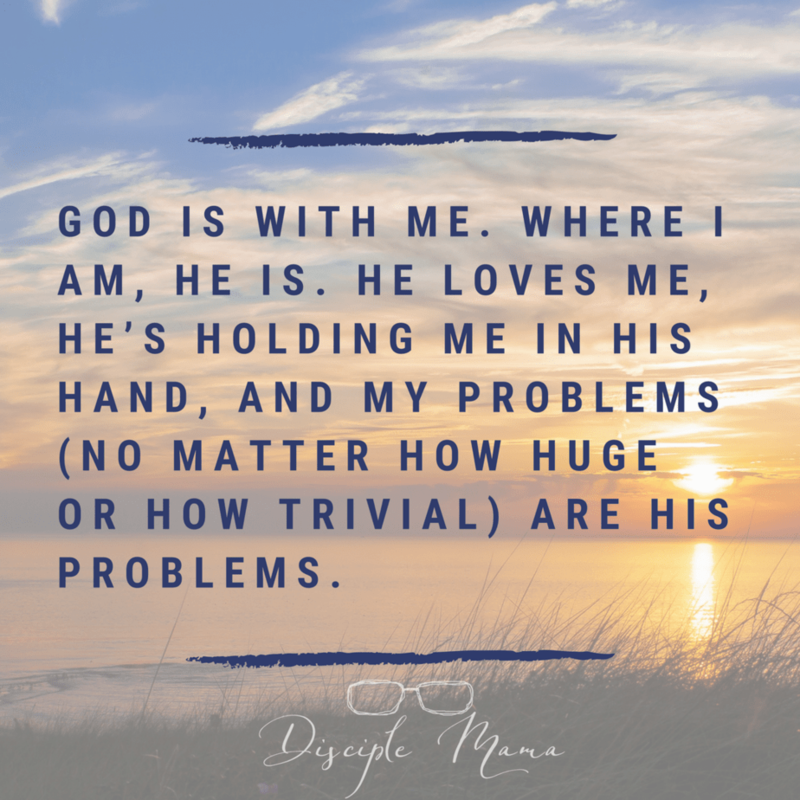 He loves me, he’s holding me in His hand, and my problems (no matter how huge or how trivial) are his problems. He sees my partially tiled, unpainted, toilet-free bathroom and He’s got me. He sees my half-unpacked suitcases and my piles of laundry and He’s got me. He knows my weeds are taller than my flowers and He’s got me. He understands that we need some quality family time, and He’s got that, too. It falls to me to ask Him for help, and then simply to trust Him to care for me. Even here, His hand will hold me fast. This is such a beautiful reminder. I love the “my weeds are taller than my flowers.” I think you meant that literally in your flower bed, but oh how this peaked my heart while reading it. 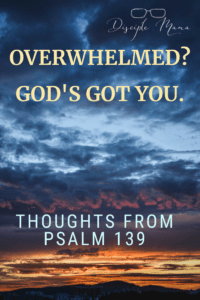 This could apply to your whole post…to every time the overwhelm and the undone tasks seem to outweigh the order of life that many of us desire. Thank you for sharing with us at #LiveLifeWell. I did mean it literally, but thank you for pulling out the metaphor and making my writing more beautiful than I could!